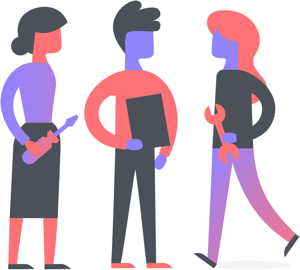 Once you have a few teammates on board to try Asana with you, you can start working on tasks together. 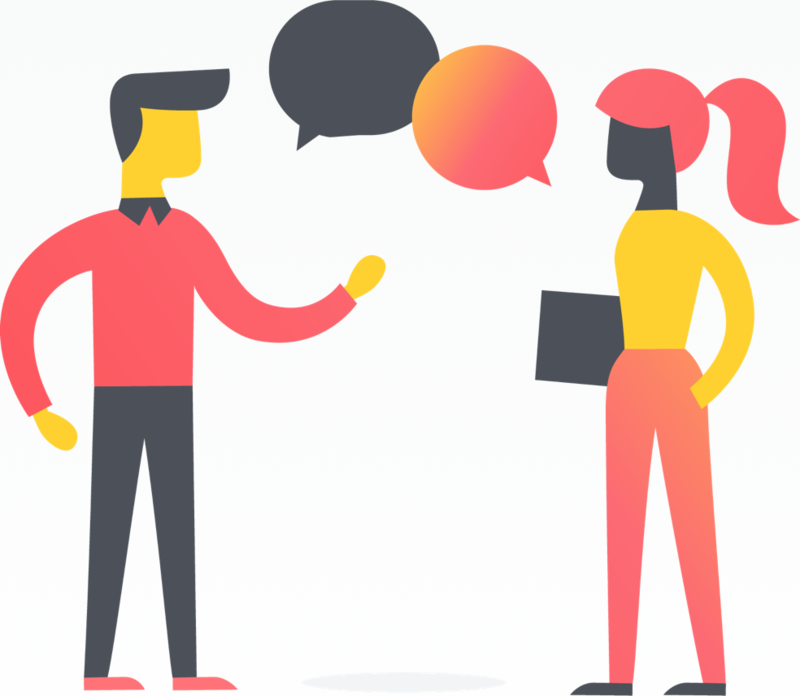 Communicating with your team on a task is as straightforward as creating it. 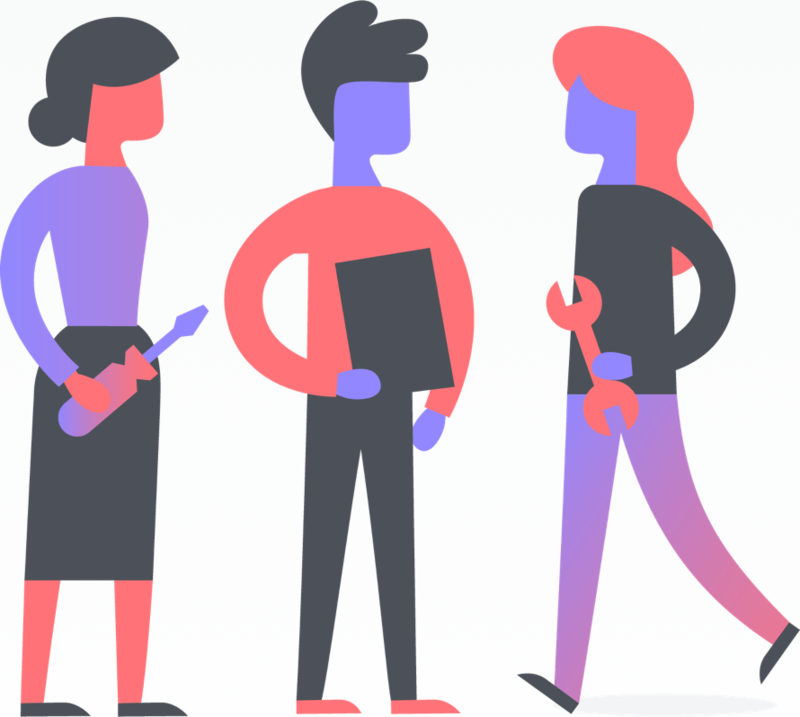 Here are some ways for you to start collaborating on tasks and move workflows into Asana smoothly. Check out our Asana Lesson for a quick breakdown of task basics. If you need to make a request or ask for information, create a task for your teammate instead of sending an email or chat message. The task will show up in their My TasksMy Tasks All tasks assigned to an individual can be found in their My Tasks list. Read more list and they will receive a notification that it has been assigned to them. You automatically become a follower on tasks you’ve created, so you’ll know when the task is completed. You can assign a task to anyone! 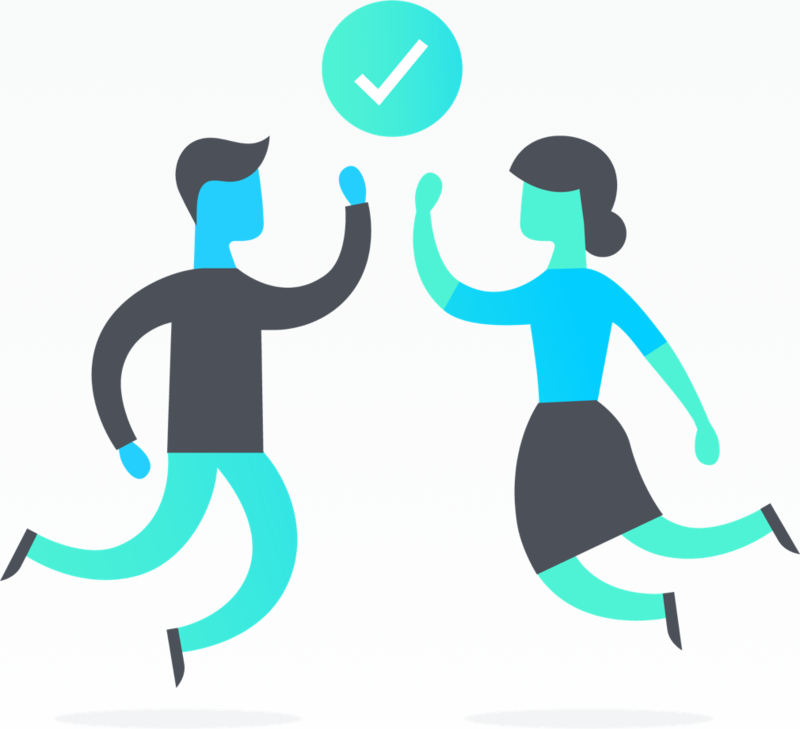 Tasks are meant to be created and assigned by all team members. To communicate a task’s deadline, just add a due date at the top of the task. You can also set a start date so the assignee can better budget their time to work on it. Use the task description area to give more details, instructions, or context to the task. Then anyone following the task will have the information they need to understand the task and get it done. Make your task descriptions easier to read by using rich text for different text formatting styles or bulleted and numbered lists. To share documents, images, or spreadsheets with your teammates, add attachments to the task. All task followers will be able to keep track of the latest version of these files and know where the work stands. 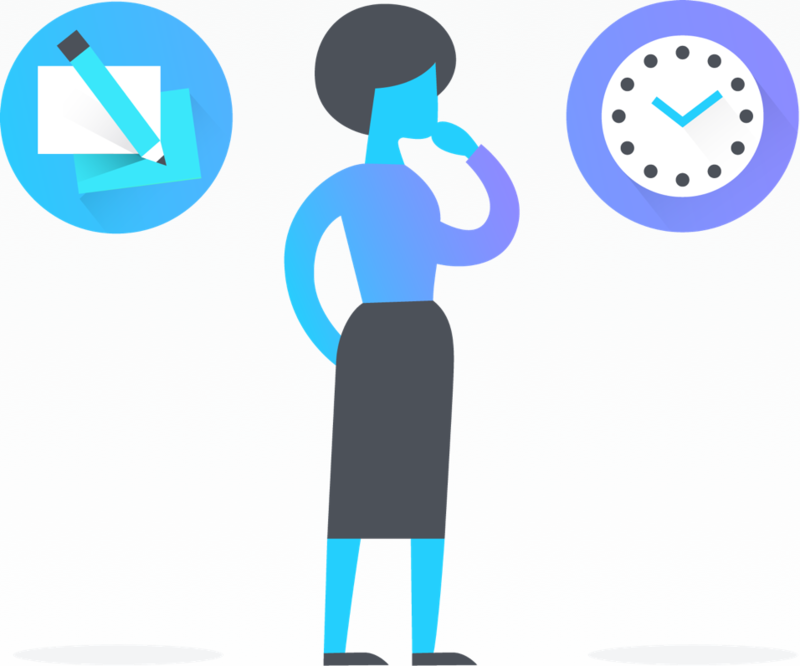 Asana integrates with Google Drive, Dropbox, OneDrive and Box to make it easy to attach files from the tools you already use. A task followerfollower Add followers to any task and they will receive notifications about updates to the task. Read more receives notifications when the task is updated. Some task followers are actively involved on a task, while others might just need to follow along for information. When you create a task, consider who might need to know the information, and simply add them as followers. You can add followers at any time and they will always see the same information on the task as other followers. You can drop in or out by following or un-following tasks. Just click the + button at the bottom right of a task pane to edit the followers. Now that you’re working with other teammates, some tasks might depend on others finishing their work before you start on your work next. Task dependencies let you know which tasks are ready to start, and which tasks are waiting on others. Dependencies are an Asana Premium feature. Try them out in a free trial of Asana Premium. When someone assigns you a task, make sure to acknowledge it so they know the work can start. You can use a simple like or use a pre-populated quick response to accept the work, ask a question, or direct them to a another teammate who is better suited to work on it. 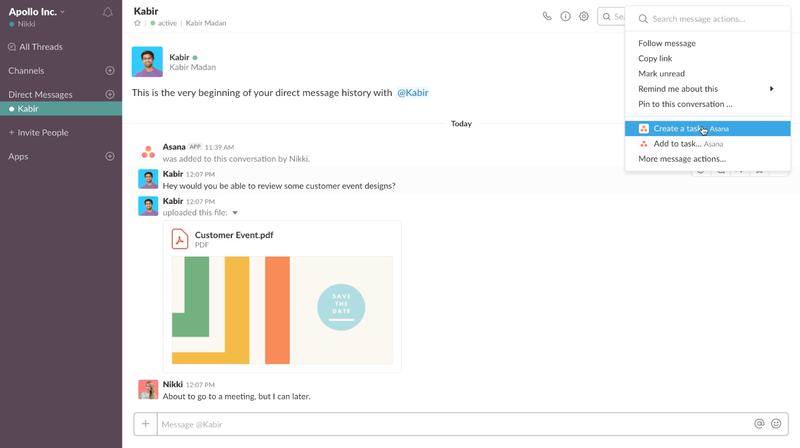 Does your team use Slack? If so, you can easily take actions on tasks right from Slack to keep working without tools. Comment on a task whenever you need to discuss the work with your team, provide an update. That way, the discussion stays in context with the task, and you can easily navigate back to it (even after it’s complete). If one comment contains critical information, or is the key decision or take away from a task, you can pin to toppin to top A pinned comment sits at the top of a task's activity feed and has a yellow background. Read more and it will keep it at the top of the task so everyone can see its importance. If you need to draw someone’s attention to a task or comment, you can use @mentioning. Just type “@” and start typing their name to pull them up. They’ll be notified that they’ve been @mentioned and can quickly navigate to that specific task. @mentioning someone on a task automatically adds them as a follower. You can also @mention project, task, and conversation names to connect your work. As you start communicating and collaborating on tasks, you’ll have more clarity and transparency into what’s being worked on—without all the status updates, email chains, and searching around in folders. 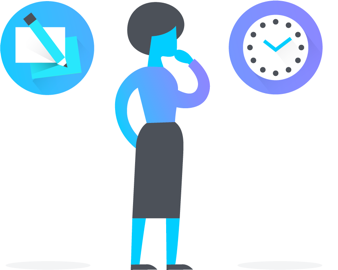 Use Inbox in Asana to keep track of progress and stay on top of notifications about work.